Okay, so, yes, my first Friday Feature is my dad. But this is for two very good reasons. First, he has spent his career working in international poverty alleviation efforts and traveling the globe, so he officially earns the category “Interesting People.” And, second, tomorrow is his birthday. So if any of you see my dad tomorrow, make sure to wish him a very happy day. So, Dad, what are you doing right now? 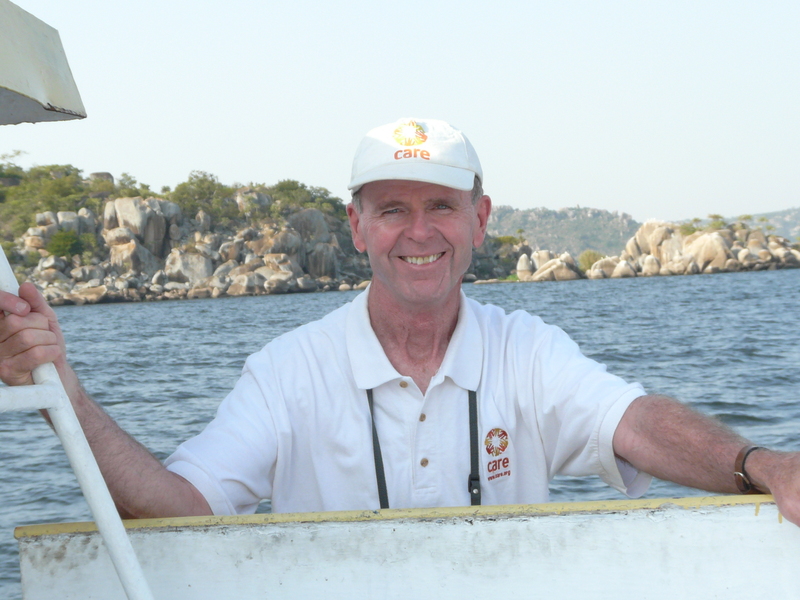 I am visiting Angola on a work assignment helping the CARE Country office prepare for a review by the US Government of a $35 million dollar community development and democracy strengthening project that has recently finished. That’s interesting. Can you tell me a little bit more about what it’s like working in Angola? A field full of mines marked off so villagers would stay away. Angola has tens of thousands of such fields. Angola is a fascinating country, but with a very sad story. It suffered from a civil war that lasted for 30 years, five times as long as the U.S. Civil war, with hundreds of thousands of young men killed or maimed. 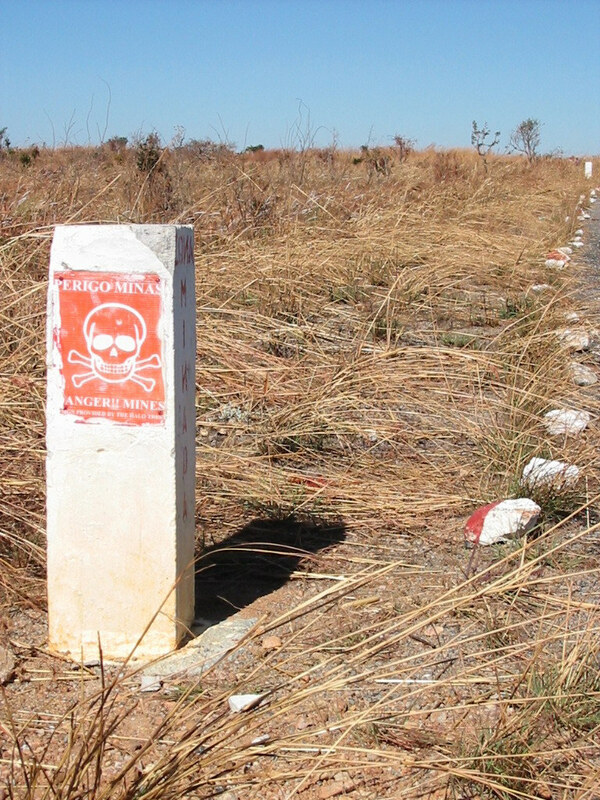 (Angola has one of the highest– if not the highest– concentration of land mines in the world.) So there is an entire generation of people who don’t exist. The country has tremendous resources, oil, diamonds, minerals, and high agricultural potential, but doesn’t have the people to make full use of those resources. In addition, the distribution of wealth is one of the worst in the world. So there is a lot money (especially oil money) but it is not getting shared. The capital city of Luanda has 2.9 million people, and all but the very rich do not have electricity three days a week, and do not have water except three days a week. For a country as rich as this one it, such a situation should not be. Why is the CARE project closing down? 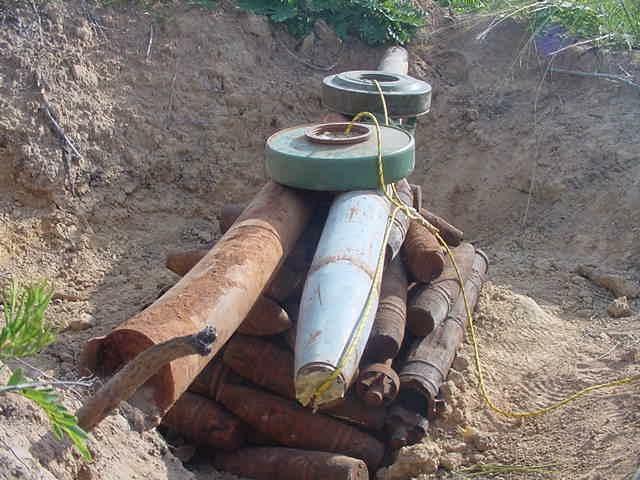 A CARE project: various UXOs (including anti-tank mines on top), excavated, collected and about to be safely detonated. Several years ago, the Government made a declaration that it could take responsibility for its own development, that it didn’t need the help of assistance organizations like CARE. That, coupled with the fact that Angola is a tremendously expensive place to operate– several times in the last five years, Luanda was rated by the London-based Economist magazine as more expensive to live in than Tokyo!– inclined CARE to decide that its limited resources could be more effectively used elsewhere and, having worked here for fifteen or twenty years, it was time to withdraw.